The Samara Story of Nurture, Education and Support will be Shared with the International Community! 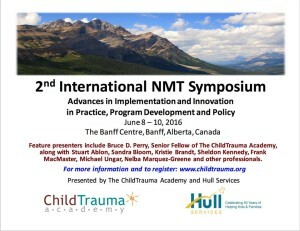 Two years ago, Executive Director, Pam Haddad, traveled to Banff, Canada, to attend the International NMT Symposium on Trauma, hosted by the globally recognized expert in trauma therapy and Senior Fellow of the Child Trauma Academy, Bruce Perry. Pam wrote to the committee describing the work being done at Samara. She has been invited to present the work at the next International Symposium being held in the spring! Donations are needed to fund the expenses of the trip, can you help today?